AHTS Far Sound (2007, UT 712L, 16.000 BHP), AHTS Far Sword (2006, UT 712L, 16.000 BHP) and AHTS Far Scimitar (2008, UT 712L, 16.000 BHP) have been contracted by Hess to support their drilling program in Australia for at least 10 months commencing in May. In the North Sea PSV Far Service (1995, UT 745, 4.680 DWT) has been awarded a 24 months firm contract by BP commencing in July with 2x6 month options. PSV Far Superior (1990, UT 705L, 3.796 DWT) will act as a frontrunner until Far Service has finished its existing contract during 4th Quarter 2011. 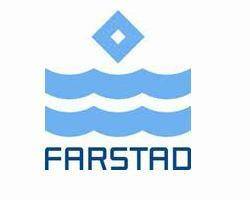 For PSV Far Star (1999, UT 745, 4.403 DWT) Statoil has declared their option to extend the contract for further 12 months. Total value of the contracts, including options, is approximately NOK 415 mill.